OCJ Kids (Opportunity Community and Justice for Kids), founded in 1992, forming an alliance with the business and faith communities to provide services, resources and caring adults to address the needs of the most vulnerable in our society. In 1994, OCJ hosted its first on campus after school program, and in 1996 opened its first of nine off campus “Target Zone” community youth centers, one serving as a certified Teen Court with the Arizona juvenile justice department. In 2006, OCJ started the Fostering Connections Program. The goal of the program is to connect the business and faith communities with children and youth placed into the foster care system, with special emphasis on the children and youth currently living in group congregant care in Arizona and throughout the United States. In 2012, OCJ Kids launched the Transition Success Center project, supplying hygiene Welcome Kits, Transitional Suitcases, Kinship Kits, Emergency Overnight Sleep Kits, clothing items, and visitation rooms for children and youth in the foster care system. OCJ Kids currently partners with the faith community and Child Welfare officials in Arizona, Oregon, South Texas, Mississippi, and Louisiana. 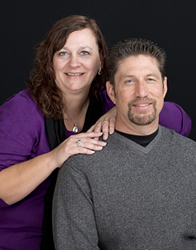 Gary and Tammie currently serve on the Assemblies of God Compassion Missionary Council, serving the community across America. Connecting – We serve at–risk & foster youth that are adrift by connecting them with caring communities for support and assistance. Healthy connections provide these youth with the help they need with difficult situations. Creating – A bright future is built on a solid foundation. We build a foundation of family for children and youth who have none. This provides stability in an uncertain world. Cultivating – The greatest strength youth have in the face of adversity is a powerful purpose, direction, faith, hope, and a vision of a brighter future. These tools and goals help cultivate youth and strengthens them to become the powerful adults they are destined to become. At OCJ Kids we believe that there are fundamental, core values that shape young people into productive, secure adults. Responsibility – It’s only when young people are trusted and given responsibility that they can truly begin to bloom. It helps the transition from being a child to becoming stable adult. Being given responsibility shows that these children are valued. Self-worth – When young people are shown they have value they begin to believe it. This feeling of being valued transforms into something more precious, self worth. With a sense of self worth, these young people learn to treat themselves and others with dignity. Character – Self worth is the foundation upon with character is built, for it is only when we learn to value ourselves that we can truly demonstrate character. Character builds strength and creates a moral compass upon which these young ones can rely upon, even during their darkest times. Hope – With the power of self worth and the strength of character these children, these forgotten ones can find hope. Hope is the shining light that can make even the darkest days bearable. It is with hope that they are able to triumph. Purpose – Purpose comes when the child is valued, nurtured, and given permission to dream. This purpose is more than mere survival – this purpose serves as the fuel to propel them forwards to become successful adults.